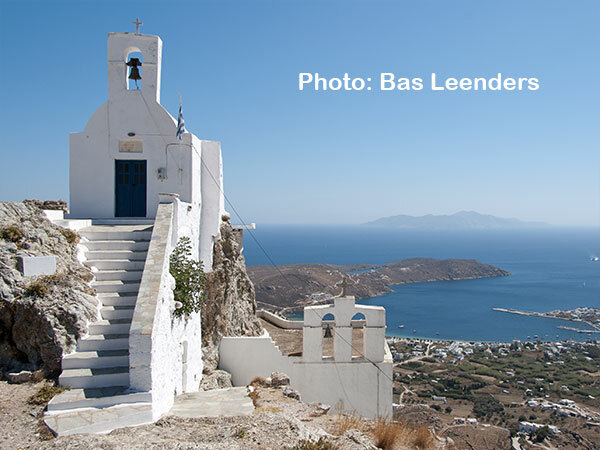 Easternmost Cyclades island, renowned for its monastery hanging on a cliff. Many French tourists, as a famous film was (partly) shot here: The Big Blue, directed by Luc Besson. A tiny haven of peace on the borders of the Cyclades, just east of Santorini. Perfect if you seek tranquility and authenticity! Northernmost Cyclades island, quite fertile, with many mineral water springs, some very nice beaches, and high mountains peaking at nearly 3,000 ft above the sea. Not too touristic yet... Don't wait! Ta Koufonissia: the hollow islands, Ano Koufonissi (inhabited) and Kato Koufonissi (deserted). 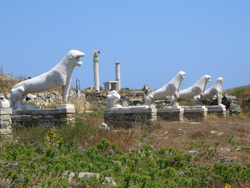 In the Little Cyclades, southeast of Naxos. Many beautiful beaches. 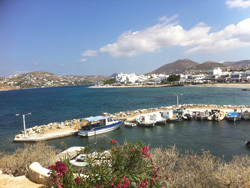 Sister island of Paros, quiet and wild, but very lively in its main village during summer. Nice beaches, beautiful cave, scenic coastline. 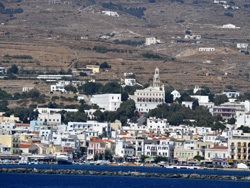 Reachable with shuttle ferry from Paros. When going to the Cyclades, you'll probably land and take off at Athens Airport and embark on a ferry in the ports of Piraeus, Rafina or Lavrio. At arrival or before departure, stay a few days in Athens, it's definitely worth a visit even if you only dream of sandy beaches! 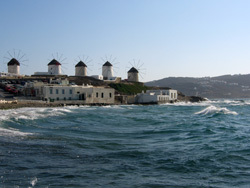 The sacred island of the ancient Greeks, near Mykonos. An incredible open-air museum, part of the World Heritage sites of UNESCO since 1990. 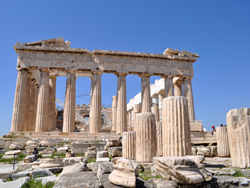 An indispensable stopover for lovers of Ancient Greece! 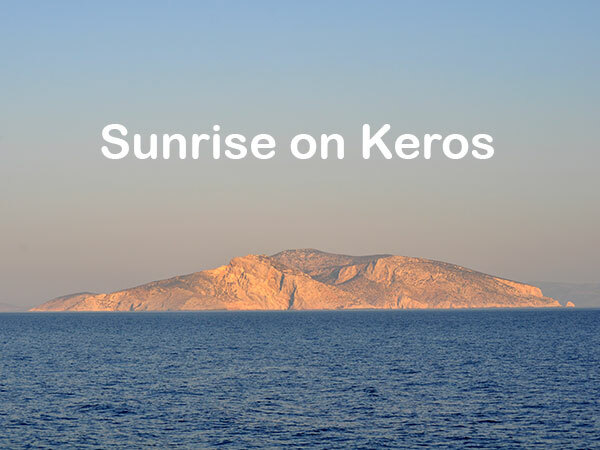 A mysterious desert island southwest of Antiparos, sister island of Paros. Archeological site and isolated beaches. 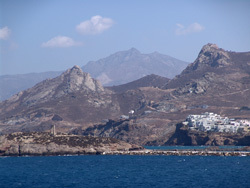 Totally isolated island, situated east of Naxos, away from the main ferry lines. 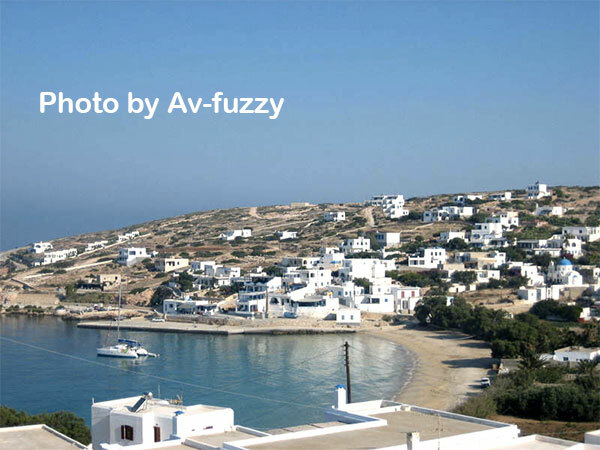 Considered as the most authentic of the Little Cyclades. A steep and mineral island. Viewed from the sea, it looks like a long fossilized dragon lying under a blazing sun. 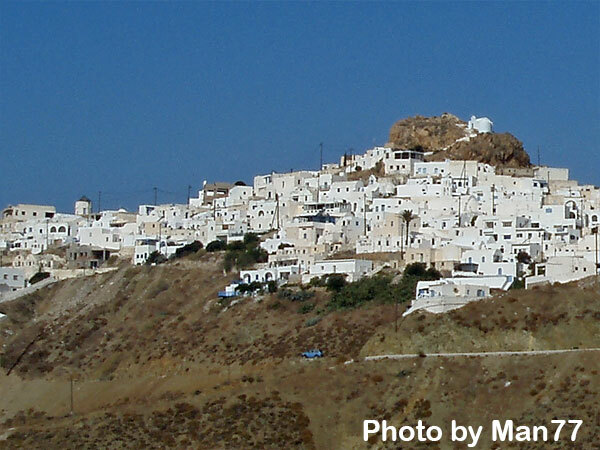 But it hides one of the most beautiful villages of the Cyclades. Once the island of the never-ending fiesta, it's slightly quieter now but still very lively. Fine sandy beaches and beautiful traditional village overlooking the sea. 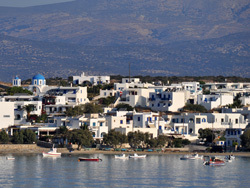 One of the Little Cyclades, just south of Naxos. A mountainous island perfect for hikers and tranquillity seekers. Close to the mainland, a beautiful but little known island. Rather difficult to access, as the ferries serving it start from the port of Lavrio (south of Attica), far from Athens and Piraeus. Biggest of the Little Cyclades, uninhabited. Important archaeological site where were unearthed the famous flat-faced statues that inspired Picasso (no visits). Access authorized, but overnight stay forbidden. 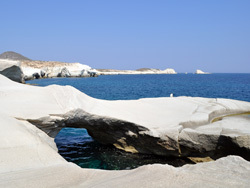 Sister island of Milos, in the southwestern Cyclades. For quietness lovers, scuba divers, and hikers. 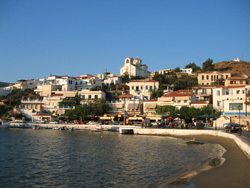 Only one village, Chorio. 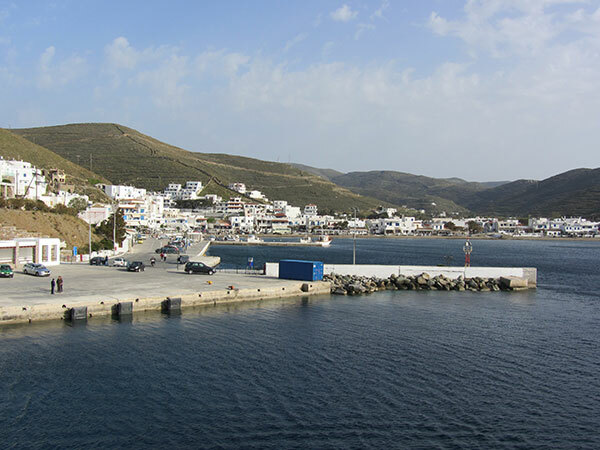 Reachable with shuttle ferry from Milos and with some ferries of the regular lines. 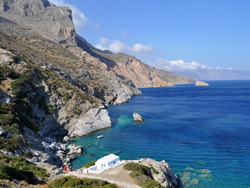 The only spa island in the Cyclades! 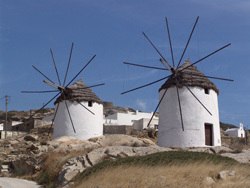 Preserved from mass tourism, Kythnos holds many other surprises for its visitors. Not too touristic, as there are relatively few ferries stopping there (from Lavrio and Piraeus). Southwest of the Cyclades, the volcanic island where was unearthed the Venus de Milo, one of the most famous statues in the world. Very scenic coastline, wild hinterland in the western part of the island. 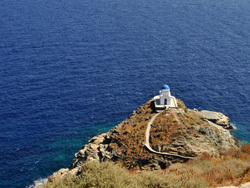 Probably the most famous island of the Cyclades (with Santorini, of course). Trendy, jet set, gay and straight, individual and mass tourism. 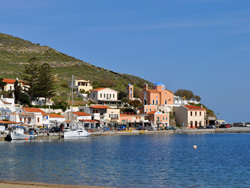 One of the most beautiful villages in the Aegean when not invaded by hordes of tourists! 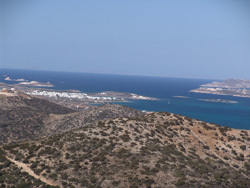 Biggest and highest island of the Cyclades, just east of Paros. Picturesque Venetian old town in the capital Chora. Beautiful beaches and scenic mountains. Airport. Famous graviera cheese and kitron liqueur. 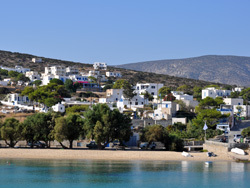 One of the most fascinating islands of the Cyclades (and one of our favorites). 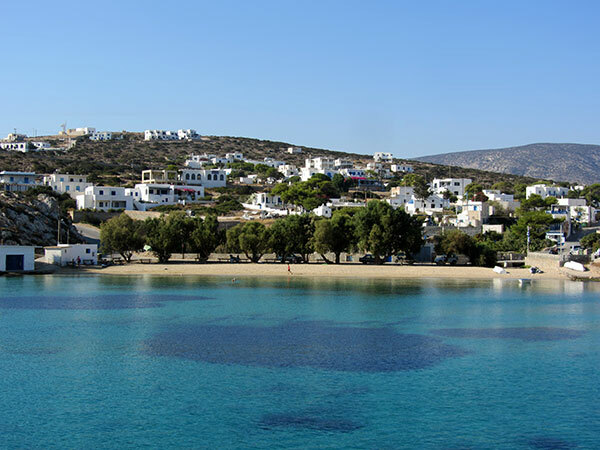 Visit Paros before it gets too famous, as it's more and more trendy. Local wines are renowned and you definitely have to taste them! An island made for beach lovers and hikers. It has a very indented coastline, with many beaches and charming coves. Unspoilt by mass tourism, it is however taken over by Greek holidaymakers in August. 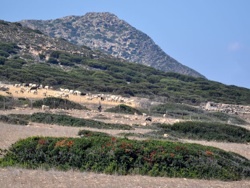 One of the Little Cyclades, south of Naxos. Sandy beaches and olive groves. Ideal for quietness seekers. 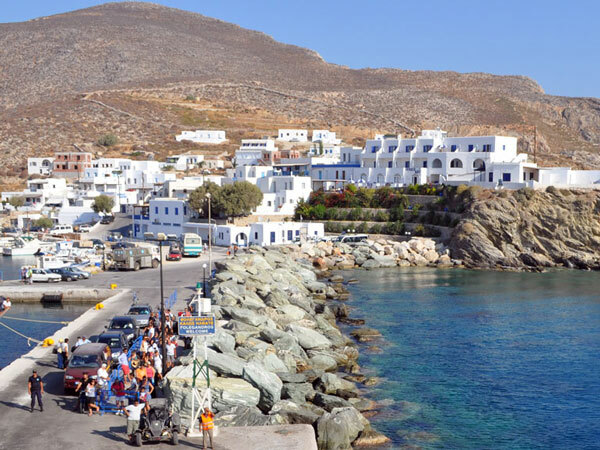 Formerly known for its gold mines, Sifnos is now a paradise for hikers, gourmets and sandy beaches lovers. One of our favorite islands, to be discovered before it gets too trendy (because it will for sure...). An island resisting temptations of mass tourism to preserve its authenticity, encouraging alternative forms of tourism. 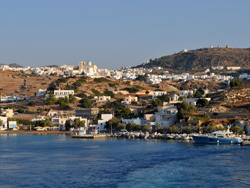 Capital of the Cyclades, with a mix of urban settlements, seaside resorts and very wild areas. Not too touristic, except during July and August. 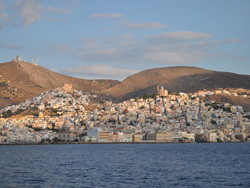 The main town, Ermoupolis/Ano Syros, is incredibly beautiful and really worth a stay. 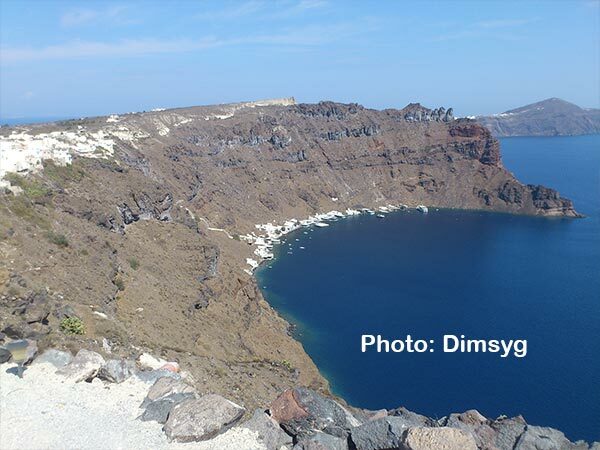 Most scenic island of the Cyclades, with its villages built on top of the cliff overlooking the volcano caldera. Overcrowded and rather pricey but really worth the trip! Many vineyards, producing outstanding wines. 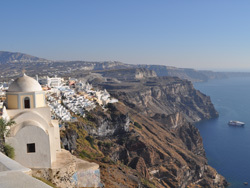 Since the explosion of the volcano in 1600 BC, Santorini is like a little archipelago. The real name of the main island is Thíra and, just in front, Thirassía is the second inhabited island, much less touristic. It's a real good place to escape the crowd! Not too touristic. The capital is a holy city of the Greek Orthodox Church (many pilgrims). Decorated dovecotes, marble villages, scenic hinterland. An island really worth a visit and becoming quite trendy.